Google glass is set to be the next big thing from Google. It is a hands-free wearable computer that can perform multiple commands through actual voice instructions. You can translate your voice, ask anything you want, such as directions or distance and you will get a prompt response. In fact the computer can be your permanent assistant for life. If you thought Google glass is an improvement over android or a tablet, you are mistaken. It is altogether a next generation cool gadget that can do multiple tasks without using your hand. Voice control on Google glass can be used in multiple ways to send message. It can be used to ask anything you want, translate a sentence from one language to another, take pictures at voice command, or reply to an email using your voice, among many other functions. Google glass is both touch and voice sensitive. In other words, commands can be given using touch or your voice. For instance, if you tap on an email it will allow you to read more of it. 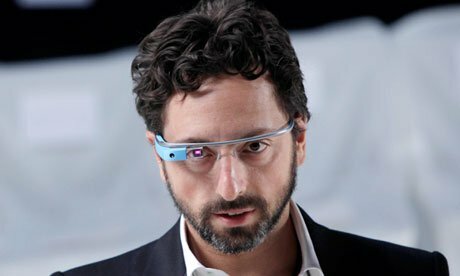 Google glass makes use of display technology and do not have lenses. A prism screen presents data in front of your vision without actually obstructing your vision. It feels like you are watching HD screen from a distance of 8 feet. Currently Google wants their cool gadgets to be clutter-free, so the apps on Google glass do not run ads. However, this is not to deny that ads may appear in the future. The glass come embedded with Google maps. So, the glass can help you with directions at your voice command. This application can help you in new places. An interesting feature in Google glass is the translation of your voice in different languages. This would be especially useful when you visit a foreign country whose language you do not know. Google glass comes with embedded cameras which run continuously. So a view finder is not needed and the camera continues to record the person who wears the gadget. You need not use your hand to take snaps because the embedded camera in the wearable computer does its job without your command. In other words, image capturing and recording is hands-free. Google glass, unlike other cool gadgets, is a wearable computer that can perform multiple tasks we need in our day-to-day life prompted by voice or touch. The devise was pre-launched in 2012 and is expected to be available to consumers by the end of 2013. It promises to change the way we live and interact with the outside world. Next articleShould i buy an apple iwatch?